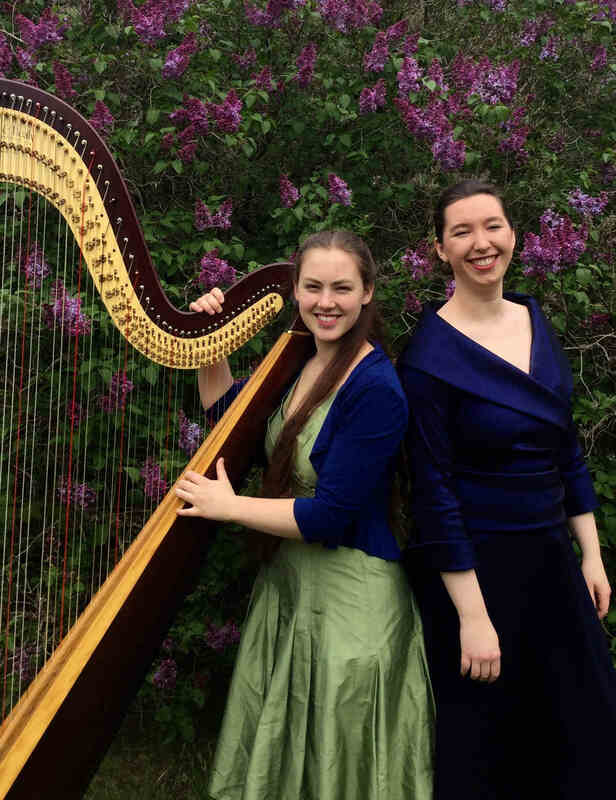 The Biea Duette (Soprano Celeste Mittelhauser and harpist Phoebe Durand McDonnell) have performed regularly together for the past five years in venues around Downeast Maine, including the Surry Arts Barn and Otter Creek Hall on Mount Desert Island. Celeste and Phoebe bring their versatile musical skills together to create programs that include everything from traditional folk airs and ballads to classical operatic, sacred, and art song selections. Originally from Gouldsboro, Maine, Celeste is currently studying for her Bachelor of Music degree in vocal performance at the University of Southern Maine’s School of Music where she is pursuing her interests in Baroque vocal techniques and early opera. In April 2017, Celeste won first place in division VI of the State NATS voice competition in Lewiston, Maine and later that year was the recipient of Schoodic Arts for All’s WOW! award. Celeste’s opera credits include Trial by Jury, The Mikado, and Princess Ida with the Gilbert and Sullivan Society of Maine and Otto Nicolai’s The Merry Wives of Windsor at the University of Southern Maine. Phoebe Durand McDonnell grew up in Bar Harbor, and is studying for her Bachelor of Music degree in harp performance under Yolanda Kondonassis, as well as a music history minor. Phoebe has performed at the Boston University Tanglewood Institute in Lenox, MA, the Pierre Monteux School in Hancock, ME, at the National Music Festival in Chestertown, Maryland and on the NPR radio show From The Top. Phoebe has a strong interest in ancient and Baroque harp performance. Celeste is the 2017 recipient of Schoodic Arts for All’s WOW! award.